At The Beauty Rooms we are passionate about skincare! We believe that beautiful skin starts with healthy skin and Facials are an important part of any healthy skin routine. 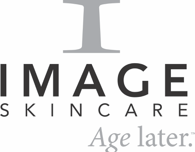 We work with only the very best brands – IMAGE Skincare and Dermalogica to bring you a range of bespoke skincare Facial treatments which are tailor-made to address your specific skin concerns. Our professional Facial treatments can help with the following: Acne, congestion, blocked pores, pigmentation, sun damage, ageing, wrinkles, fine lines, texture, tone, overall brightness, dehydration, redness, rosacea and sensitivity. The first step on your bespoke skincare journey to help you heal and peel back the years. We will discuss your concerns and analyse your skin to form the most appropriate and effective skincare regime for your individual needs. The perfect skincare diet and home care routine will be prescribed to allow you to achieve your optimum long term skin health. Combined with your consultation this is the starting point for clients who want to take their skin to the next level. Treatment includes a double cleanse, vitamin enriched serum, and moisturising SPF. Suitable for all skin types. This is our luxury facial with instant results. A relaxing facial with an intensive moisture boost using the IMAGE Vital C & Ageless range. Blended with natural exfoliating enzymes Pineapple, Papaya, Vitamin C and Organic Orange Blossom to leave the skin plump and glowing. High levels of antioxidants heal, repair and protect, and your facial is completed with a relaxing face, neck & shoulder massage. Suitable for all skin types. Looking for a revolutionary treatment to exfoliate, illuminate and oxygenate? Otherwise known as the ‘Red Carpet Facial’ because it will give you instantly luminous skin. This treatment infuses Oxygen (which you’ll feel bubble on your skin) with plant derived stem cells from Apple and Grape Seed plus a high concentration of enzymatic botanicals which invigorate the skin and give it a gorgeous luminous glow. Suitable for all skin types. Our Enzyme Facial Peels are different from a Chemical Peel as they utilise gently exfoliating fruit-based enzymes rather than chemical exfoliators. Meaning they don’t result in the physical pealing of the skin. The fruit based enzymes dissolve dead skin cells, support skin cell renewal and soften skin texture with minimal irritation. Perfect for all skin types, especially dry or sensitive skin, with visible results in just one treatment. A blend of Passion Fruit, Pumpkin, Papaya and Mango fruit enzymes in an organic Aloe Vera gel base, work with medical effectiveness to rebalance, regenerate & restore skin. While Comfrey plant stem cells boost skin cell turnover to help maintain youthfulness. Perfect for Unbalanced, irritated and sensitive skin. This revolutionary 4 layer Facial Peel will change the look of your skin in just one application. Using the highest doses of Vitamin C plus Vitamins A and E and an enzyme blend from Chamomile, Comfrey and Green Tea, combined with Glycolic Acid. Your skin is resurfaced at a deeper level looking instantly tighter & brighter with an increased cell turnover. Perfect for dehydrated skin, ageing, redness, and sensitivity. We offer a wide range of Chemical Peels to suit different skin concerns at The Beauty Rooms. Click here to view our Chemical Peels. Dermalogica is a leading brand which offers great results for your skin alongside relaxation. Each facial is tailored to your specific needs with the luxury of a pressure point massage to ease stress and tension as well as home care advice and product recommendation. This is the Dermalogica Express Facial. Want a simple yet effective facial to leave your skin smooth and revitalised? Includes deep cleanse, exfoliation, mask, moisturiser and eye cream. Taking your Dermalogica Facial a step further. Your skin is analysed for a treatment designed to address your skins needs. Includes skin analysis, deep cleanse, exfoliation, massage, mask, moisturiser and eye cream. This is the Dermalogica Luxury Facial. A relaxing treatment including everything from the Pro 45 Facial (see above), but with the added luxury of one ‘touch therapy’. Choose from a neck and shoulder, hand and arm or scalp massage. Heal, Restore and Replenish. Combining the gentle Dermalogica Ultra-Calm range to soothe sensitive skin, with the IMAGE Skincare Vit-C range for deep hydration and skin strengthening. This facial helps diminish red, sensitised skin whilst treating dryness. A detoxifying, blackhead busting facial which deeply exfoliates dead skin, then uses blackhead busting products alongside our amazing blackhead removing tool – the BT Micro. Skin is brighter and left clean, grease free and unclogged. A facial specifically designed for teenage skin using the Dermalogica ‘Clear Start’ range. These products contain powerful ingredients to fight breakouts and soothing botanicals to calm redness. A quick fix Facial if you are short on time. 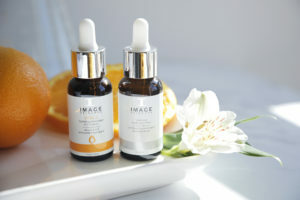 Includes a cleanse, microdermabrasion treatment, soothing serum and SPF moisturiser. Our most popular option this treatment includes a double cleanse, microdermabrasion treatment, serum, pressure point facial massage, mask and SPF moisturiser. The ultimate Microdermabrasion Facial. This treatment includes double cleanse, microdermabrasion treatment, mask, toner, serum and SPF moisturiser. Plus a relaxing head, neck and shoulder massage. Combining both Microdermabrasion and an Enzyme Facial Peel allows both physical and enzymatic exfoliation of the skin. Removing the dead surface skin cells with the Microdermabrasion allows deeper penetration of the Peel, therefore better results! These treatments complement each other and can be undertaken every 2 weeks for a course of 3 or 6 treatments and then monthly for maintenance. For more information on Microdermabrasion at The Beauty Rooms click here. Dermaplaning is a method of exfoliation that consists of using a scalpel to gently scrape off the top layer of dulling dead skin cells in order to reveal a smoother, brighter complexion. It also removes vellus hair (peach fuzz) from the skin providing a smoother surface for applying make up. Fine lines and wrinkles are diminished and skin is left healthy, more radiant and perfectly prepped to absorb products more effectively. For more information on Dermaplaning at The Beauty Rooms click here. This eye-opening add-on illuminates the eye area and will help, brighten, de-puff, energise and firm, leaving quick and visible results. This treatment helps restore hydration, smooth lines and reduce the appearance of lip ageing. Firm, hydrate, restore volume and soften fine lines and wrinkles on and around the lip area, leaving quick and visible results. Innovative hydro-gel pads to improve the condition of the eye area. The pads combine natural organic plant extracts with bio-innovation to mask and reduce the appearance of red, tired and puffy eyes, dark circles and wrinkles within 5 minutes of use. These powerful anti-ageing sheet masks give instant results to dry or dehydrated and ageing skin. Skin is left ultra-hydrated, firmer and glowing with youthful radiance. The breathable sheet traps moisture in the skin, allowing the active ingredients to penetrate deeper. Choose from an Anti-ageing or Hydrating mask. An effervescent oxygenating mask which improves circulation, speeds healing and eliminates toxins. Powerful antioxidants protect against free radical damage and a potent brightening blend reduces pigmentation, illuminating and brightening the skin. Provides you with some deep relaxation to the stressed shoulder muscles, stimulating the flow of blood and improving the functioning of the lymph system. It is also an excellent stress buster and can make you feel relaxed and recharged. Following your Facial Treatment avoid make-up for the rest of the day if possible. However, mascara is ok.
Avoid using any other products on your skin for the rest of the day after your Facial Treatment. Avoid heated treatments i.e sun beds, saunas or swimming.